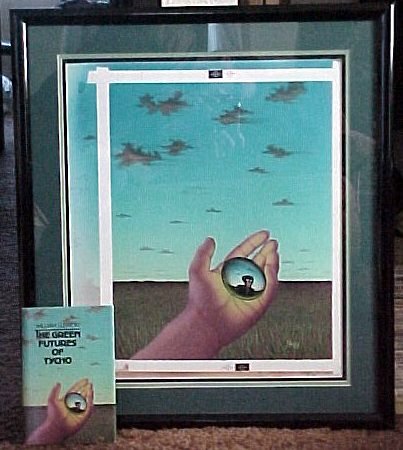 I am the proud owner of the original cover art from three of the editions of The Green Futures of Tycho. 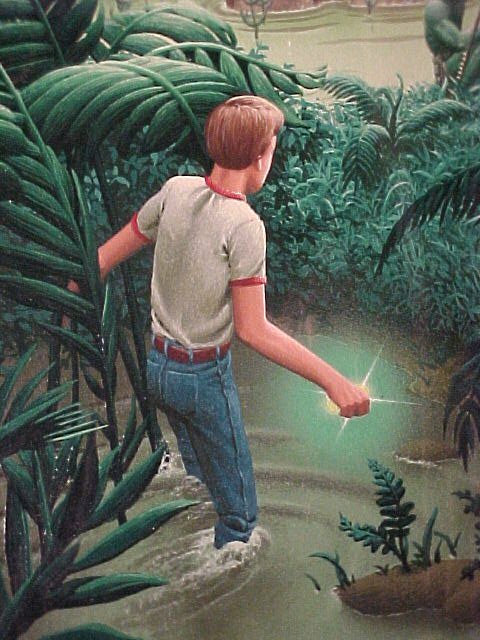 Copyright ©1981 James Nazz. Used by permission. given to me by James Nazz, the artist. 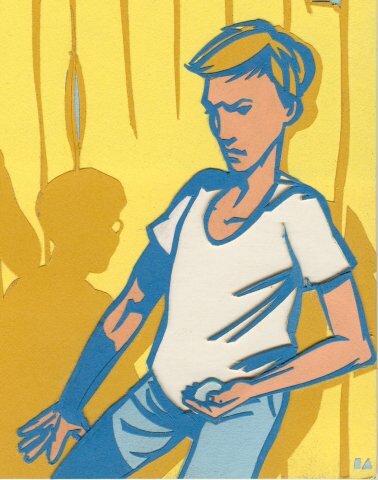 Take a look at a detail of Tycho from the painting (123K). 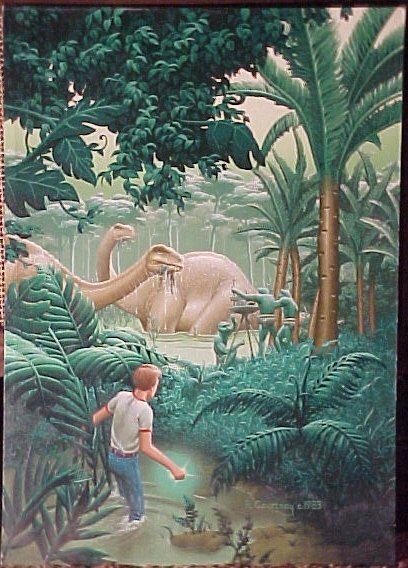 Copyright ©1983 Richard Courtney and Bantam Books. which I obtained from the artist Rick Courtney. given to me by the artist Ivor Arbuckle. Nona's Crafts framed these pictures for me. 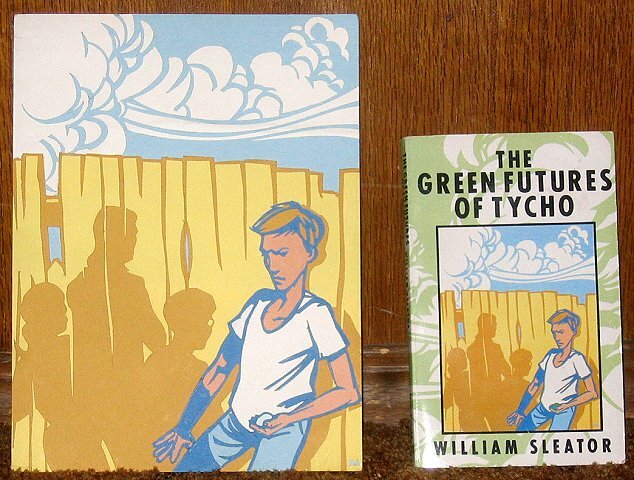 Return to The Green Futures of Tycho page.